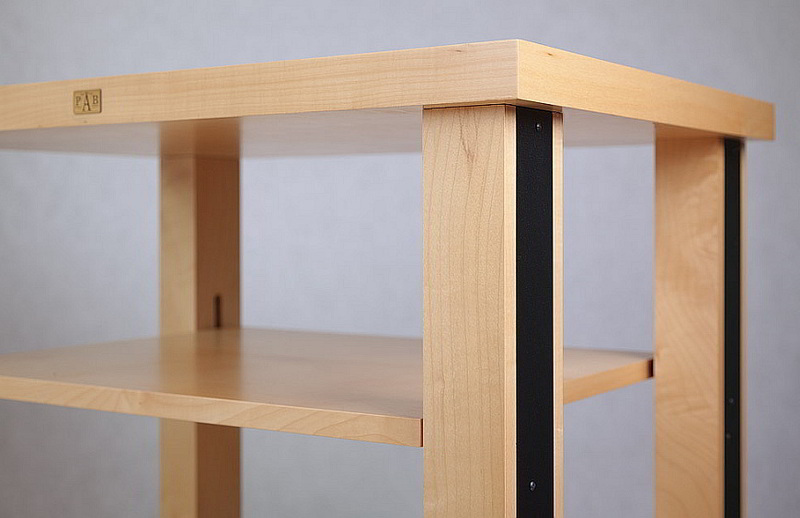 Pro Audio Bono anti-vibration tables (racks) are made from thick birch or alder plywood, covered with natural (usually oak, maple, birch or cherry) or modified veneer. Similar to the anti-vibration platforms those veneers are colored with mordant and covered with transparent varnish, which underlines the beauty of the wood, or with color veneers, resistant to mechanical damage and household chemicals. 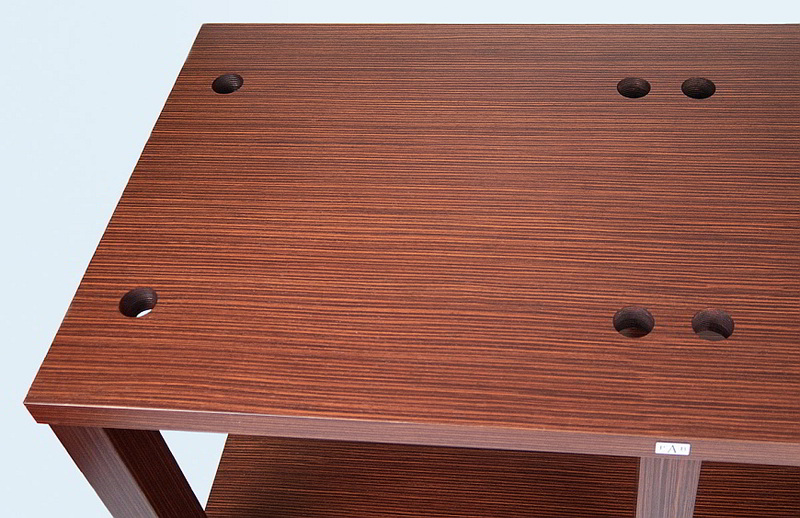 We made also a few tables with plywood covered with very resistant artificial veneers. 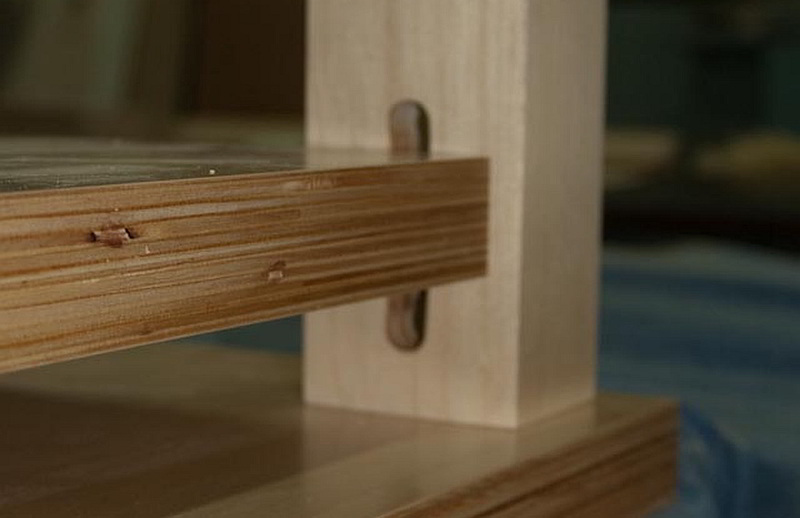 Currently we manufacture tables with suspension shelves and racks for placing platforms in them. We are testing a modular rack. 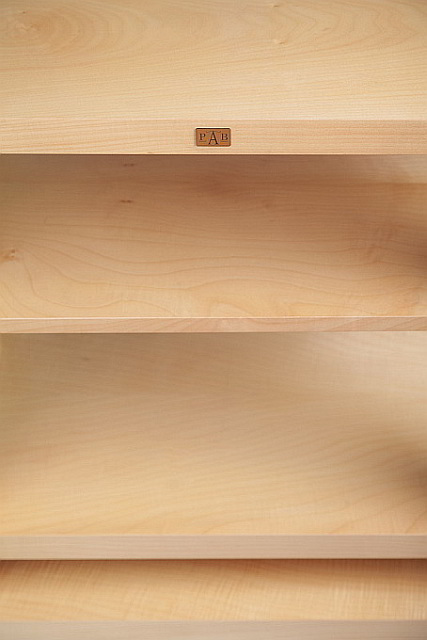 We had also a few questions about an acrylic rack. 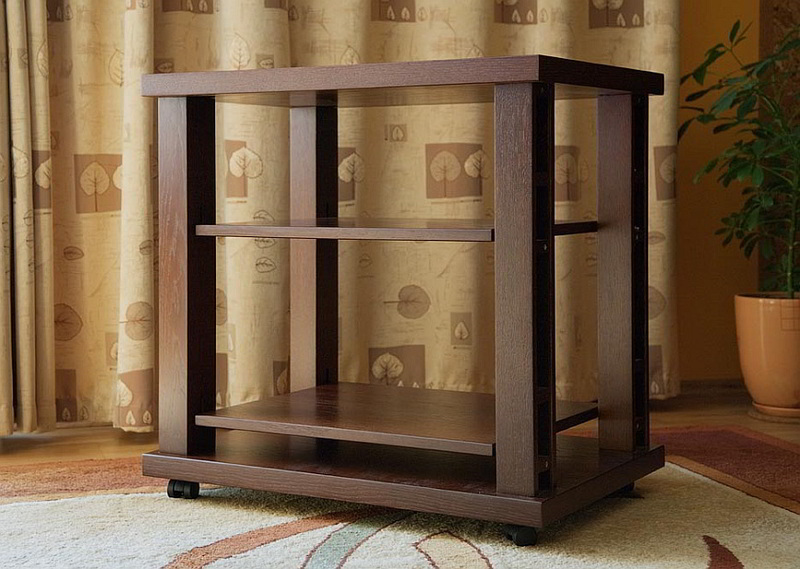 We are not manufacturing such tables, but upon order we can make such table and test it in our listening room. 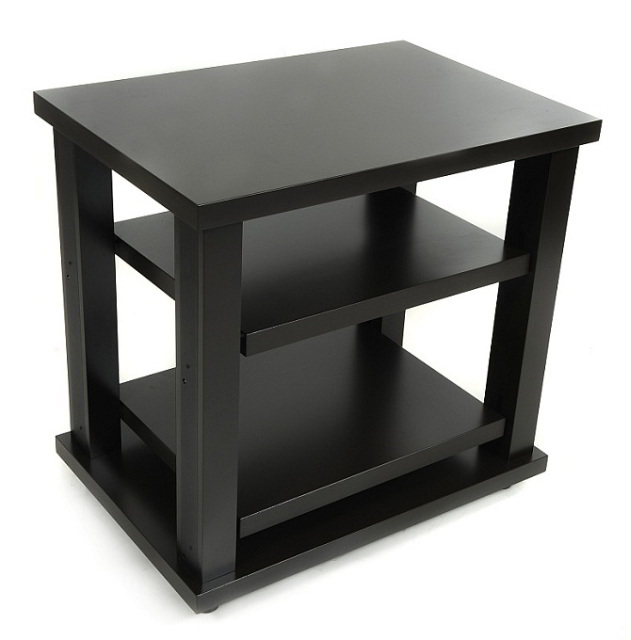 We can also make any size of table with suspended shelves or for placing of existing platforms. 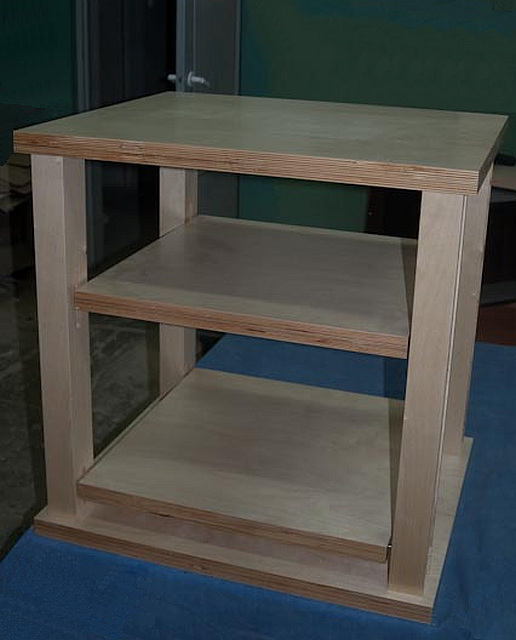 For example at the beginning of the year 2012 we made a very large table with suspension shelves without veneer on the edges, with two shelves a load capacity of 145.5 lb each and dimensions of 23.6 x 23.6″ for a client from Norway. 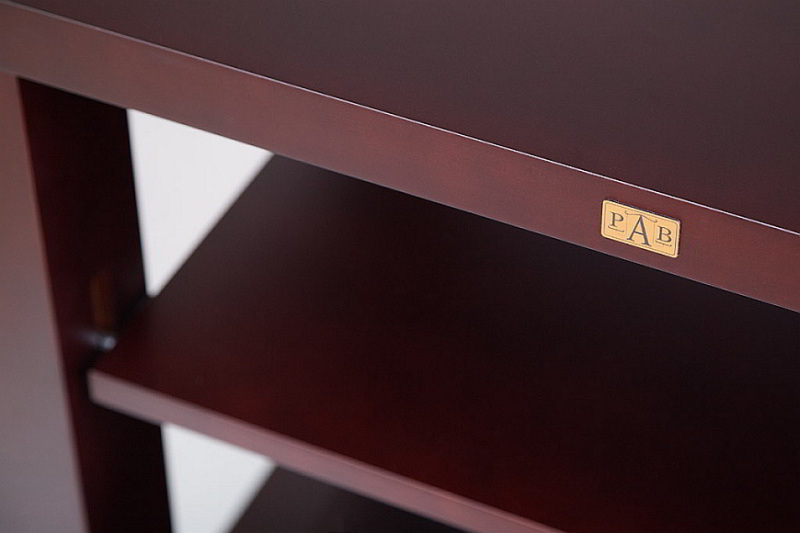 The PAB anti-vibration tables (racks) have the best anti-vibration efficiency when placed on PAB bearing AVF. They can also be supported on PAB metal feet or on feet coming from other manufacturers.